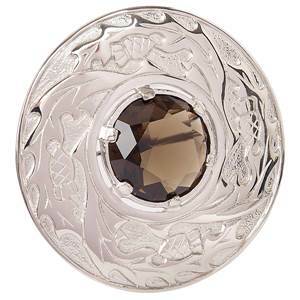 Traditional Plaid Brooches in Pewter from Sgian Dubh Company in Scotland. 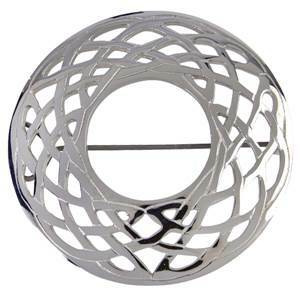 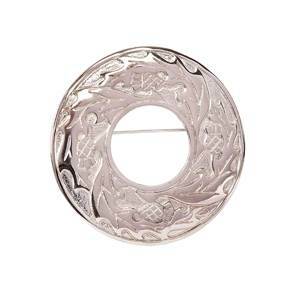 Celtic Plaid Brooch in Pewter. 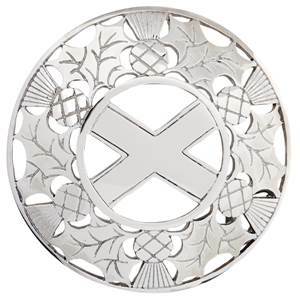 Open Thistle / Saltire Plaid Brooch in Pewter.